1st qualifying match of Champions league 2014 was played between Northern Knight and Southern Express at Shaheed Veer Narayan Singh International Stadium, Raipur today. Match delayed by rain and started late by its schedule time and cut to 10 overs per side. 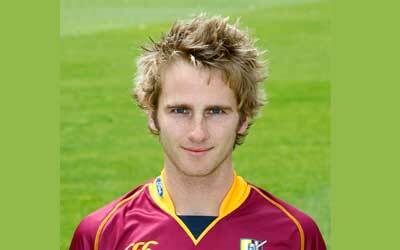 KS Williamson played superb inning of 52 runs of 28 balls and gave Northern Express win in very first game of CLT20 2014. Northern Districts won the toss and decided to put Southern Express to bat first. MDKJ Perera and MD Gunathilaka started Southern inning very aggrassively and go after Northern bowlers as well. Both added 55 runs in 6 overs before MDKJ Perera (37 of 20 balls) lost his wicket. MD Gunathilaka also played good inning of 39 runs of 26 balls but, other Southern batsmen could not stood in middle for long and at the enf of 10 overs Southern Express managed to put 92 runs for Southern Districts. Following target of 93 runs, Northern Districts started inning confidently with KS Williamson and AP Devcich. AP Devcich lost his wicket scoring 14 runs. but KS Williamson played good inning and completed his half century in 28 balls and gave his team win by 7 wickets when 3 balls spares to bowl. KS Williamson declared man of the match for his 52 runs. Points : Northern Districst 2, Southern Express 0.